In our last post we discussed the primary color model and complimentary colors. The primary color wheel is used mostly for pigments or painting but learning the basic color wheel has some advantages in photography as a basic way of looking at color. In reality, photography uses the RGB color scheme which is based on light and is considered an additive color model. The three primary colors in this model is red, blue and green and when these colored lights overlap together against a screen, it creates white in the middle. For printing, a different color model is used which is very similar to the image above of the RGB model. 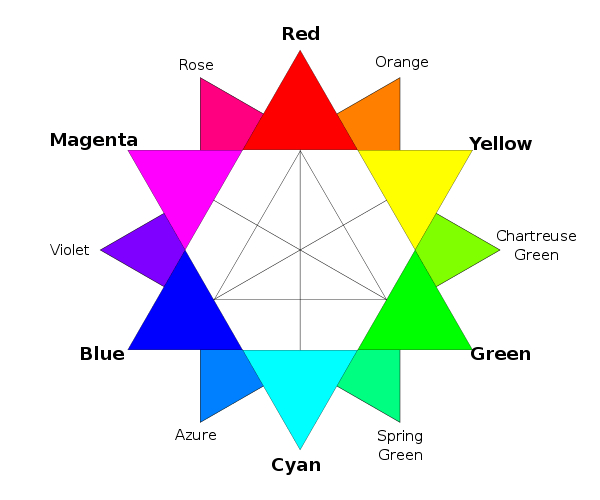 That model is the CYMK model which uses magenta, cyan and yellow as the primary colors in the model. When these colors are overlapping, it becomes black as below. For the rest of this series, we will be using the RGB model as the primary model of discussion. Our next post in the series will address tint, shades and tones along with warm and cool colors.